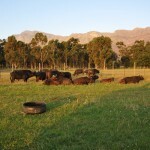 The first buffalo heifers arrived in August 2013 and were acquired from Mr Julius Gers. 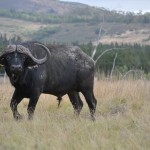 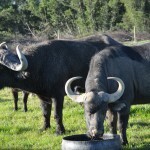 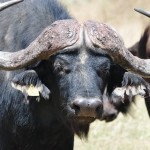 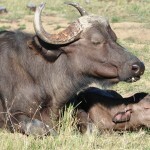 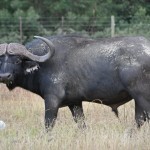 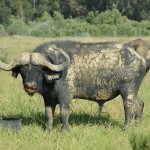 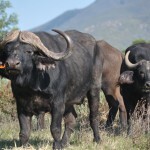 Since then we have obtained our breeding bull Taurus (44 inches) from Quaggasfontein and established a maturing breeding herd with the addition of several high quality animals acquired over the last couple of years. 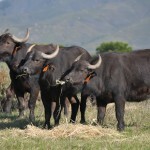 While selecting for quality and superior genetics throughout. 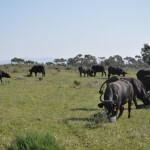 Our animals are raised on natural pastures and only fed a supplement of a formulated full feed diet to ensure optimum growth and development of each animal. 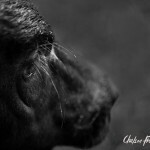 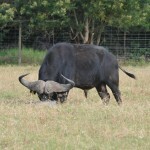 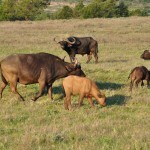 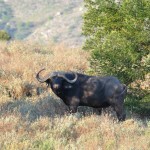 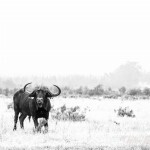 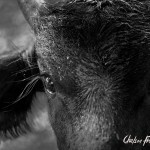 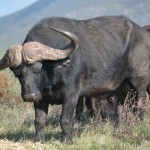 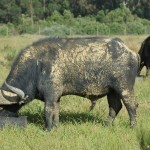 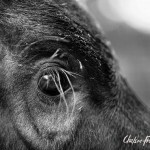 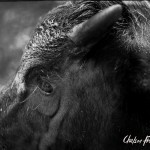 The buffalo are managed on a rotational grazing pastures and monitored closely to ensure breeding success.